Read the Footnotes’ Grade 1 Ballerina winner Rightly So and Freud’s Grade 1 Prioress victor Franny Freud each brought well over a half-million dollars at the Fasig-Tipton Kentucky November Sale on Sunday. With three other New York-bred race mares selling well as racing and/or broodmare prospects, the average for New York-bred fillies and mares sold ($384,000) exceeded the sale average for the same group ($368,625). 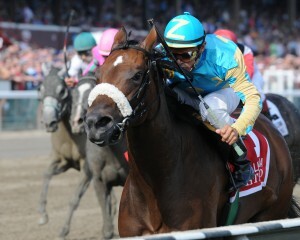 By the end of the night, New York could also boast the fourth highest-priced weanling at the sale. Rightly So – the morning line favorite for Friday’s Breeders’ Cup Filly and Mare Sprint scratched by veterinarians at noon on race day – not only has no particular problem (according to trainer Tony Dutrow, “She’s fine, she’s okay”), but shone in the auction ring on Sunday evening. Offered as a racing or broodmare prospect (Hip 139), the 4-year-old the Grade 1-winning daughter of Read the Footnotes sold to Patinack Farm from the Eton consignment for $600,000. Bred by Sequel 2003 and foaled at Sequel Stallions NY, Rightly So was originally purchased by Zayat Stables as an OBS Calder 2-year-old in 2008 for $220,000. She went on to win four stakes races, including the Grade 3 Bed o’ Roses and Grade 1 Ballerina this year, and compile a race record of 11-7-3-1 with purse earnings of $480,050. Her New York-bred half-sister by Closing Argument topped the tenth session of the Keeneland September Yearling Sale when she sold for $155,000. Rightly So’s dam Fit Right in (Out of Place) has also produced a weanling full-sister to Rightly So. Read the Footnotes, currently seventh on the New York sire list, stands for Sequel Stallions at Keane Stud. The versatile Franny Freud (Hip 59) brought $560,600 at the Fasig-Tipton sale when purchased as a broodmare prospect by Katsumi Yoshida from the consignment of Hidden Brook. The 3-year-old bay daughter of 2008-2009 New York leading sire Freud, who stands for Sequel Stallions at Keane Stud, began 2010 with a runner-up effort in the Grade 2 Santa Ynez Stakes at Santa Anita in January and went on to reel off four straight stakes victories, including the Grade 2 Beaumont at Keeneland, and capping her career with a confident score in the Grade 1 Prioress Stakes at Belmont. When she retired injured just days before starting as the probable favorite in Saratoga’s Grade 1 Test Stakes, she had won stakes on Polytrack, dirt (good and off going) and turf. On the board in 10 of 11 starts, Franny Freud won eight times and earned $686,029. Bred by 2009 New York Breeder of the Year Anthony Grey and owned by a partnership of Paul Pompa, Jr., Grey’s Winter Park Partners and Stephen Yarbrough, Franny Freud is out of the winning D’Accord mare Frankly Fran, a half-sister to two stakes winners and producer of two more winners: resilient Semichi (Brushed On), with over sixty starts under her belt and earnings of nearly $200,000, and Saratoga Steve, a full brother to Franny Freud ($64,187). Franny Freud, who was foaled at Sequel Stallions, is rated as an A++ by TrueNicks (on the Storm Cat/D’Accord cross) and is inbred 4S X 3D to Secretariat. New York-bred fillies and mares Doremifasollatido (Hip 45), Don’t Forget Gil (Hip 44), and Canadian Ballet (Hip 28) also excited spirited bidding. Doremifasollatido (Bernstein/Considerate it Done), owned by a partnership of Susan Moore and M and M Thoroughbred Partners, and consigned by Vinery (agent), sold as a broodmare prospect to Spendthrift Farm for $400,000. 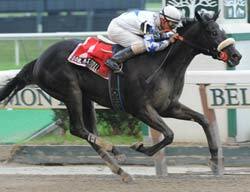 At two the 4-year-old bay daughter of Bernstein won the Grade 2 Matron and placed in the Grade 2 Adirondack. 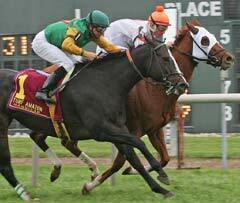 She compiled a career record of 14-2-4-2 with $264,025 in purse earnings. 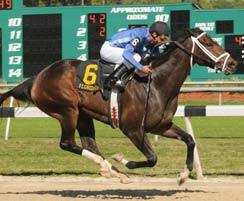 Doremifasollatido is a half sister to graded stakes winner Fortunate Damsel (Runaway Groom) and three other winners. Bred by Edward J. Messina, and foaled at Keane Stud in Amenia, Doremifasollatido sold as 2007 Keeneland September yearling for $110,000. Alan Brodsky’s Don’t Forget Gil (Kafwain/Livermore Leslie) was purchased by S F Bloodstock as a broodmare prospect from the Denali consignment for $200,000. Winner of the Grade 3 Florida Oaks and close runner up in the Grade 1 Coaching Club American Oaks, the 4-year-old retired with three stakes wins to her credit, including the Wayward Lass this year, a record of 4-3-4 from 19 starts, and earnings of $370,737. 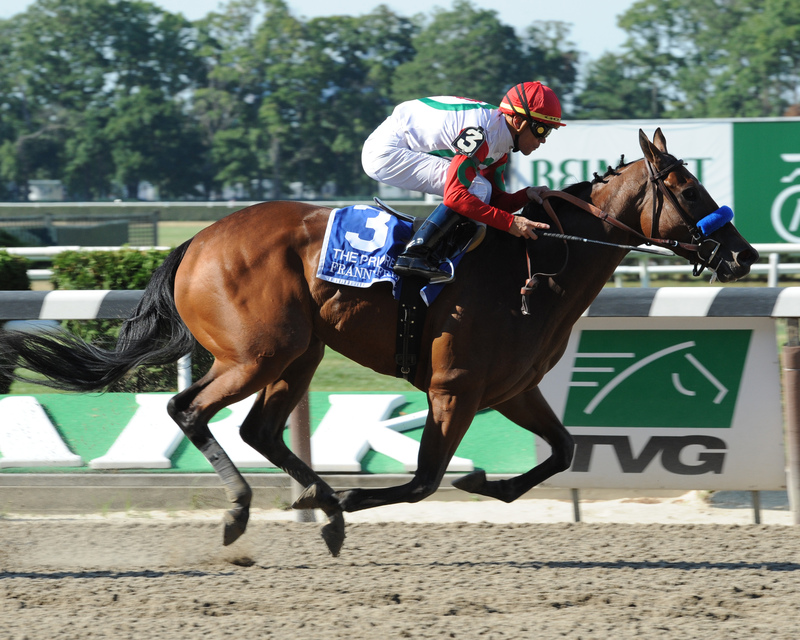 Bred by Jonathan Thorne and foaled at Thorndale Farm in Millbrook, Don’t Forget Gil was purchased by Alan Brodsky for $43,000 at Fasig-Tipton’s 2007 Saratoga preferred New York-bred Yearling sale. Her dam, stakes-placed six-time winner Livermore Leslie ($205,192), has produced four multiple winners from five foals to race. Obviously New York Stable’s Canadian Ballet, New York’s Champion Older Female, Turf Female and Female Sprinter in 2009, went through the auction ring after finishing unplaced on Friday in the Grade 2 Breeders’ Cup Sprint. She was purchased by Southern Equine Stables LLC from the consignment of Taylor Made (agent) as a racing/broodmare prospect for $160,000. A 4-year-old daughter of City Zip bred by Gus Schoenborn Jr., and foaled at his Contemporary Thoroughbreds, Canadian Ballet is one of three winning New York-bred full-siblings out of six-time winner Canadian Flagship ($97,708), including two-time stakes-placed Vasa ($90,942). Canadian Ballet won six stakes races, including the 2009 $200,000 Turf Amazon Handicap at Philadelphia Park, and compiled a career race record of 24-8-5-2 record with earnings of $619,802. On to the weanlings. Hip 115, a chestnut weanling colt from the first crop of Street Boss (Street Cry) bred by Jerry Bilinski, DVM and Harry Patten and foaled at Waldorf Farm, brought the fourth highest price for a weanling (and second highest for a weanling colt) in the sale, when purchased by Monty Bloodstock for $115,000 from Highclere Sales (agent). Out of the winning Trempolino (Sharpen Up [GB]) mare Open Window, the colt has three winning siblings of four to race, including Grade 2-placed Wild Chick (Forest Wildcat). Second dam Vexation (Vice Regent) has two graded-placed offspring and a daughter, V Sign, who has produced two graded stakes performers. The third dam produced three stakes winners. Inbred 4D X 5D to Northern Dancer and 4D X 5D to Victoria Regina, the colt gets an A++ TrueNicks rating based on the cross of Street Cry and his sons with Sharpen Up (GB) and his sons and grandsons. Overall, five New York-bred weanlings sold for an average of $64,000, somewhat lower than the weanling average for the sale ($74,108).